InfoMaker Inc. specializes in Advanced Analytics solutions. Our Data Science services include machine learning, artificial intelligence, predictive analytics, statistical analysis, and operations research custom applications. We execute analyses, build mathematical models and develop algorithms for the data driven business. Our engagements implement applications for internet of things (IOT), biotech, e-commerce, customer relationship management, marketing, semiconductor, and healthcare companies. InfoMaker Inc. serves diverse Fortune 500 companies, along with enabling start-up firms with AI solutions. Our past clients include Motorola, AT&T, Kraft Foods, Sears Roebuck and Co., United Airlines, Discover Card, Chicago Police Department, A. C. Nielsen, Pactiv, Baxter Healthcare, and Caremark RX. InfoMaker Inc. leverages both open source and commercial software for its machine learning, visualization and big data solutions. This includes, Python, R, SAS®, Oracle®, Splunk®, Tableau® and other SQL and non-SQL databases. Our AI based solutions utilize supervised and unsupervised learning algorithms. Our consultants are experienced in deep learning (CNN, RNN, LSTM), Natural Language Processing (NLP), Predictive Analytics based on advanced Statistical models, and Mathematical Optimization. 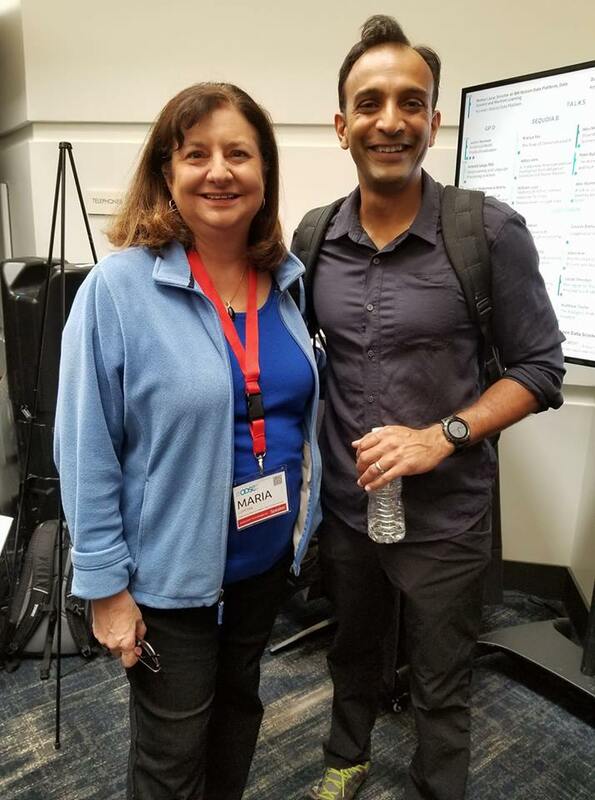 Maria Lupetini with DJ Patil, former Chief Data Scientist of the United States Office of Science and Technology Policy.